CACI is seeking SAP functional professionals to join our fast-paced, growing SAP practice that provides implementation and Operations and Maintenance (O&M) support to a growing base of SAP customers and to participate in business development activities at potential target accounts. 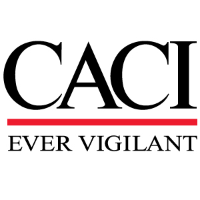 CACI's current and target accounts perform federal financial management, supply chain management, customer relationship management, data analytics, integration, and governance using SAP's ECC, SRM, CRM, BI/BW, Process Integration, and Governance, Risk, and Compliance (GRC) solutions. If you have experience implementing or supporting SAP in a federal environment on projects at places such as the Department of the Interior (FBMS), the Department of Agriculture (WBSCM, MIDAS, FMMI), the Navy, or the Army, we would like to hear from you! - Document requirements, create functional specifications and system configuration documents. - Develop training materials for end users. - Provide Level 2 support of reported incidents. - All positions require the ability to obtain a NACI Clearance.